The Advanced Clinical Skills Centre (ACSC) is a simulation training unit, under the auspices of the Department of Surgery of The University of Auckland's Faculty of Medical and Health Sciences, and it has been in existence for over 20 years. 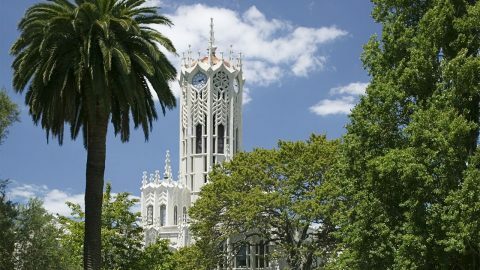 The ACSC is currently located on the FMHS Grafton Campus of the University of Auckland in Park Road, Grafton, where it provides a dedicated teaching environment for practical surgical and medical skills of all types. A major role of the ACSC is the instruction of practical skills to Undergraduate 4th Year and 6th Year Medical Students at the University of Auckland, comprising approximately 24 one and two-day courses annually, covering a wide range of basic procedures deemed essential for safe medical practice in a hospital or community situation. Advanced Postgraduate courses are also offered at all levels in clinical procedures, including; open and laparoscopic surgery, general surgery, gynaecology, orthopaedics, general practice, theatre nursing and other disciplines. The ACSC hosts various mandatory courses for surgical trainees run by the Royal Australasian College of Surgeons, such as the ASSET, CCRiSP and TIPS courses, in addition to regular training courses for the Royal Australian and New Zealand College of Obstetricians and Gynaecologists, and some other institutions. The ACSC has the resources and expertise to organise custom-designed courses by arrangement, to suit the requirements of groups of staff members from private or peripheral hospitals and other agencies.